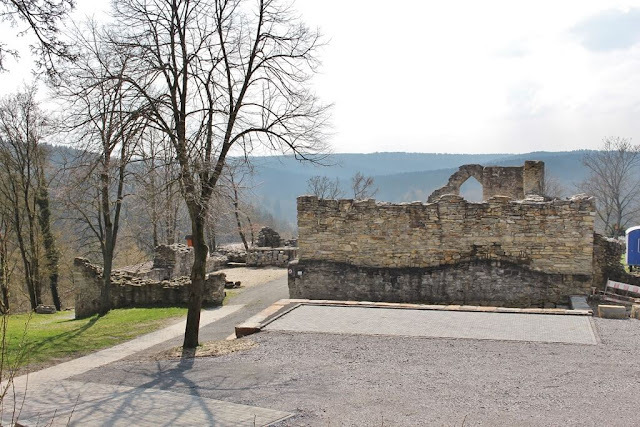 The history of the domain of Schloss Derneburg dates back almost one thousand years. Originally built as a fortified castle, the main building became the manor house of Margrave Herman II of Winzenburg and his brother Heinrich, vassals of Count Burchard I of Locum, during the 12th century. However, Hermann feuded with Burchard and in 1130 arranged to have him murdered. Unfortunately for Hermann, his enemy was a close friend of Holy Roman Emperor Lothar III and the latter demanded that the Winzenburg family give up their properties as punishment. Schloss Derneburg, located in a Lower Saxon village by the same name, thus came into the hands of the Bishopric of Hildesheim, which was advised to open a religious sanctuary at the castle and thus the castle building remained in the hands of religious orders for the following 700 years. After the castle had been handed over to the Bishop of Hildesheim in 1143, the first Augustine nuns from the nearby abbey of Holle moved into the Schloss in 1213. Derneburg began to flourish and its endowments and properties grew rapidly by taking over neighbouring villages and other properties. By the beginning of the 14th century, however, the nuns had taken to a rather lavish lifestyle and with it came an increasingly liberal interpretation of their religious obligations. In the following decades, the fortune of the abbey declined more and more and when Catholic reformer Johannes Busch visited Derneburg at the beginning of the 15th century, he was appalled by the nuns' lifestyle and tried to get them evicted. Busch only narrowly escaped an attempted murder, suspicion for which fell on the sisters. In 1443, the Augustine nuns were removed from Derneburg and more pious nuns of the Cistercian order moved in instead. The new sisters managed to restore the abbey's former fortune. However, this new prosperity was rather short-lived as secular and religious wars during the reformation era took a toll on the entire region. In 1523, Derneburg fell into the hands of Duke Erich I of Braunschweig-Lüneburg, Prince of Calenberg-Göttingen, the branch of the House of Guelph which would later become the Kings of Hanover. The Catholic convent subsequently became a Lutheran one and remained in the hands of the Guelph family until the 17th century. In 1643 the Prince-Bishopric of Hildesheim was restored to its border of 1523 and thus Derneburg fell back into Catholic hands and the Cistercian nuns returned. A few years later, however, the convent was turned into a monastery and monks moved in. 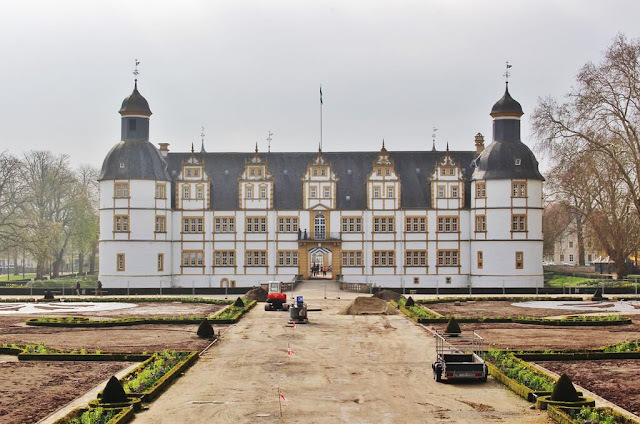 It was one of their primary tasks to restore the building which had suffered greatly during the Thirty Years' War and thus most of the buildings still visible today were created. Between 1735 and 1749, for example, they built a large baroque church on the southern end of the abbey and the extensive domain buildings to the west of the abbey. Through the secularisation of 1803, Derneburg abbey fell into the hands of the Prussians and subsequently became a domain of the state. Four years later, Napoléon's troops seized and plundered the estate. The Congress of Vienna in 1815 decided that Derneburg would be given back to the Bishopric of Hildesheim which, in turn, became a part of the newly founded Kingdom of Hanover. King George III subsequently gifted the seedy domain to one of his ministers, Count Ernst of Münster, as a thank-you present for his successful negotiations during the Congress of Vienna. Count Ernst commissioned the renowned Hanoverian architect Georg Ludwig Friedrich Laves to convert the monastery into a stately home. The monks' dormitories were changed into living and reception rooms and the baroque church of the Cistercians became a display space for the Münster family's extensive art collection. Count Ernst also had Laves built an extensive English garden including a "tea-temple", an Egyptian pyramid housing the mausoleum of the family as well as bridge over the nearby river and a ruin not far from it. The Schloss, however, received its current designs on the instructions of Count Ernst's son, Count Georg Herbert, once again with the help of Laves. In particular, Laves razed two thirds of the Baroque church to create a "knights' hall" in English Gothic Tudor style, which, as you can imagine, is a rather uncommon one in Lower Saxony. By tearing down large parts of the church, the courtyard also became open to the fourth side. Like his father, Count Georg Herbert served in the diplomatic service. Firstly for the Guelph family and later on for the Prussian Hohenzollerns; as such Kaiser Wilhelm II made him Prince Münster of Derneburg in 1899. In 1902, Count Georg Herbert's only son, Count Alexander, took over Schloss Derneburg and the accompanying domain, which ran into financial troubles during the First World War. 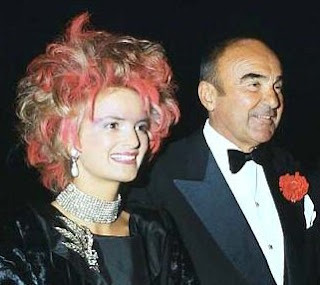 The lavish lifestyle of his Berlin-based son Count Friedrich did not help either and so the family had to sell art as well as land to pay for his debts. During the Second World War, the Schloss became a military hospital; first for the German Wehrmacht and later on for the British troops. After Count Friedrich's death his British-based younger brother Count Paul could only claim his inheritance after the end of the war. In 1955, Count Paul sold the surrounding lands to the state of Lower Saxony. The next generation, namely Count Peter of Münster, established a floriculture in Derneburg but after about twenty years ran into financial troubles and so he had to sell the Schloss in 1975. The castle's new owner, however, wasn't a no name but one of the most famous contemporary German painters, Georg Baselitz, who lived in and with the Schloss in the following decades. Apparently, sketches and other paintings now adorn many of the castle's walls. However, Baselitz decided to sell the Schloss about ten years ago and in 2006, it was sold to American hedge fund manager and art collector Andrew Hall. The overgrown gardens are now mostly back to groomed English ones and extensive renovation works are done to the Schloss. Hall originally planned to open a museum at the castle but it was too expensive. Schloss Derneburg is privately owned and viewing is by invitation only so unless you know the owner personally, you will have a hard time getting in. However, the Laveskulturpfad leading through the old landscape garden does make for a nice Sunday (or any day, really) walk. Also make sure to have a look to the other side of the castle where old fish ponds are situated. If you should ever drive on the A7 motorway from Hanover to Kassel (or vice versa), simply get off at the exit Derneburg/Salzgitter and you will pretty much be already be able to see the castle from there as it is only a stone's throw away.